We’d have to add that it is even harder to teach children to go on bearing pain of lost loved ones to cancer. But turning that pain into good deeds is one of the most important lessons we can teach our children and ourselves. 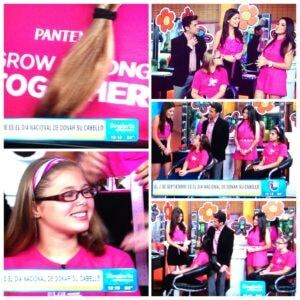 We’re so proud of our Los Tweens Reporters today for joining superstar Matie Perroni and celebrity hair stylist Gabriel Samra on Despierta America to raise awareness for National Donate Your Hair Day and Pantene’s Beautiful Lengths program. 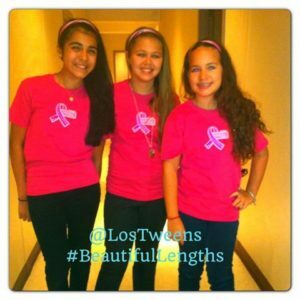 At an age where girls become increasingly aware of their looks, the tweens decision to donate their hair was not an easy one. But each girl had their own personal reason why they wanted to donate and knew it was for a great cause. Starting bright and early! 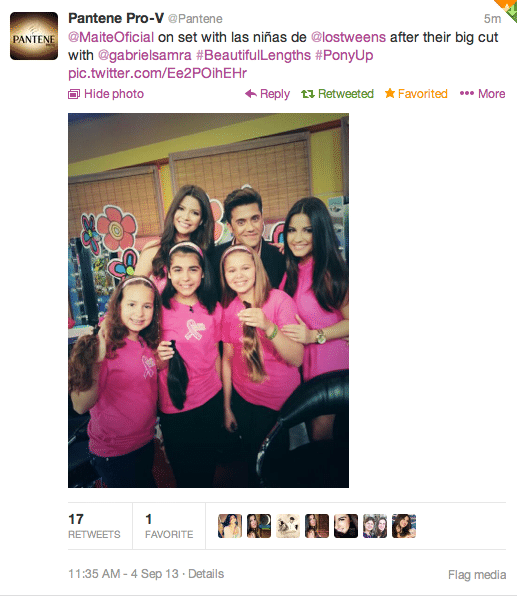 The girls prepared for their hair donation at the Univision studios. Pantene captured a Vine video of the girls backstage…they weren’t nervous at all…yet! Our girls did a great job donating their hair and now it’s your turn! Cut and donate your or your daughter’s healthy hair to the Pantene Beautiful Lengths program to make real-hair wigs available at no-cost to women who have lost their hair due to cancer treatments. Don’t have enough hair or unable to participate? You can still make a donation to the program. See the entire Despierta America segment here. This entry was posted in Raising Tweens. Bookmark the permalink. What an awesome story!! I’m so proud of las chicas. 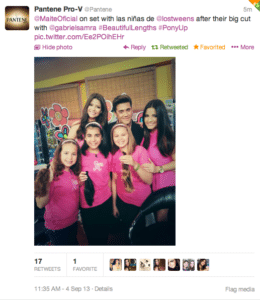 But they never hesitate to donate time, love– or hair– to a worthy cause.